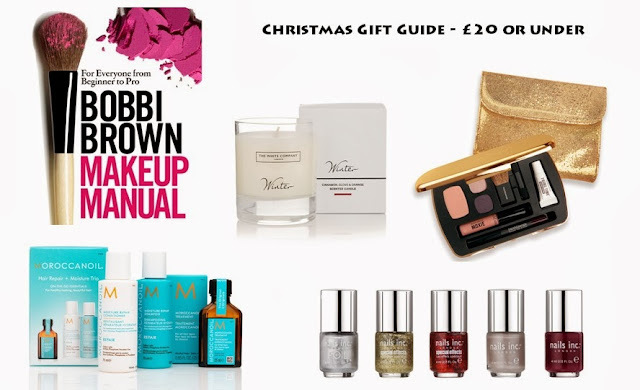 A perfect Christmas gift for a make-up savvy loved one. From beginner to professional this book covers all the bases. Winter is a spicy warm scent that blends notes of sweet cinnamon and clove with a dash of fresh orange, a perfect scent for Christmas! Available exclusively to FeelUnique, the Shine On Palette is worth £39 and includes 'Prime Time Brightening Eyelid Primer', 'Round The Clock Waterproof Eyeliner in 4pm' and 'READY Eyeshadow Duo in Glitterati & Center Stage'. Why not treat a friend to some TLC for the hair with this trio of much raved about Moroccanoil products. A perfect stocking filler, these 5 winter shades are a great way to introduce Nails Inc to a friend or relative! Minatures are always so cute aren't they! That bareminerals set looks really great. I'm looking forward to unwrapping the bobbi brown book, she is such an inspiration, empowering woman, really can't wait to read it!